A year ago, Danish audio brand Gamut joined Raidho and Scansonic as part of the Dantax group of companies, a move in which Gamut’s Benno Baun Meldgaard became chief designer. 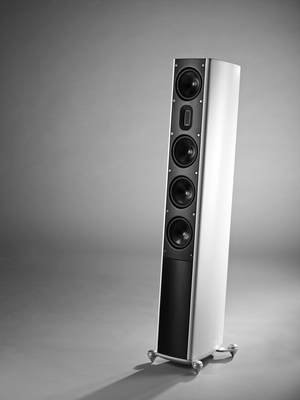 In the twelve months since the move, Meldgaard has been applying his considerable audio expertise to several of the group’s products, including Scansonic’s MB series of loudspeakers. The series was originally created by Michael Børresen, the initial designer of the renowned Raidho range (hence the name ‘MB’). They offered plenty of the coveted Raidho pedigree but at a fraction of the cost, providing a superb balance of performance and affordability - as well as sporting a slim, sleek and very room-friendly design. The new MB-B editions (the second ‘B’ being for Benno) have just been enhanced and optimized in almost all areas. The top-end still features the famous Raidho ultra-light ribbon planar tweeter, while the midrange drivers, woofer, crossovers and cabinet design have all been upgraded, giving the series a whole new level of life, energy, transparency and natural coherence. The series features a standmount mini-monitor, four floorstanders, a subwoofer and a center channel for home theatre. On demo at the show will be the 3-way MB-5B floorstander, partnered with classic German brand Dual’s top-of-range CS-600 turntable and electronics from Audio Analogue and Pegaso. See Scansonic in rooms 318 and 322.